We’ve some festive events coming up in the garden to celebrate our first year of gardening, and to celebrate winning a national award in recognition of our work, the 2014 SURF award for Creative Regeneration! 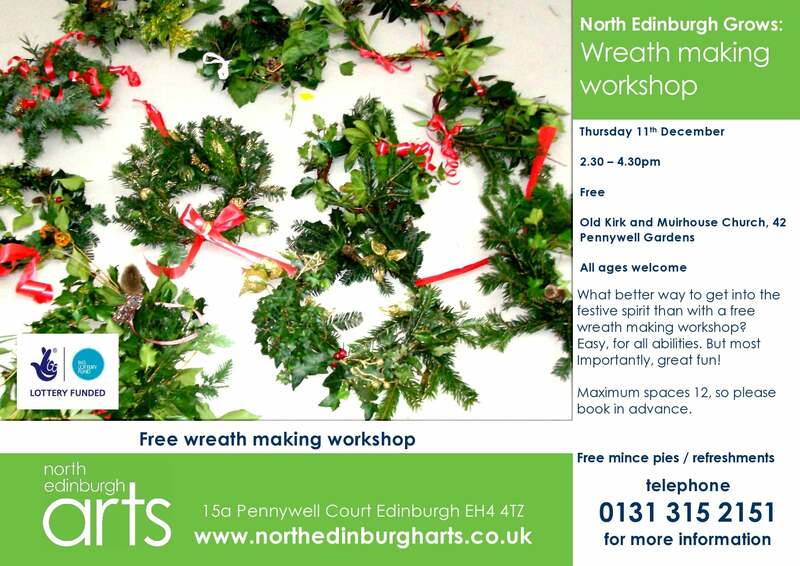 Kicking it off, Artist-in-residence Natalie Taylor will be holding a wreath making workshop on Thursday 11th December, 2.30-4.30pm, at the Old Kirk and Muirhouse Church, (42 Pennywell Gardens). Natalie has been working with Tomorrow’s People to create a Christmas tree sculpture and with local children to make jam jar lanterns for our Christmas garden event on Wednesday 17th December. Please do come to see the tree and garden lit up (and to scoff some mince pies, of course). 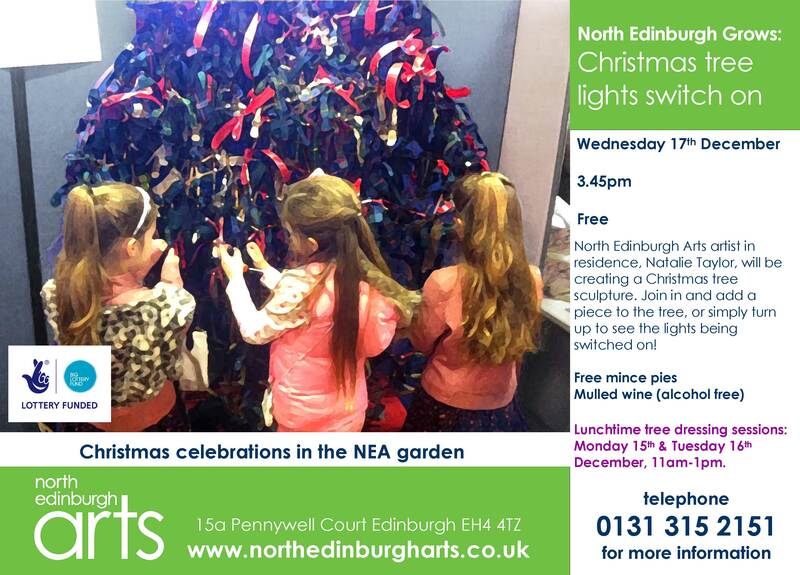 Natalie will also be dressing the tree with users of North Edinburgh Arts over lunchtimes on Monday 15th, Tuesday 16th and Wednesday 17th. ← North Edinburgh Grows wins SURF award!